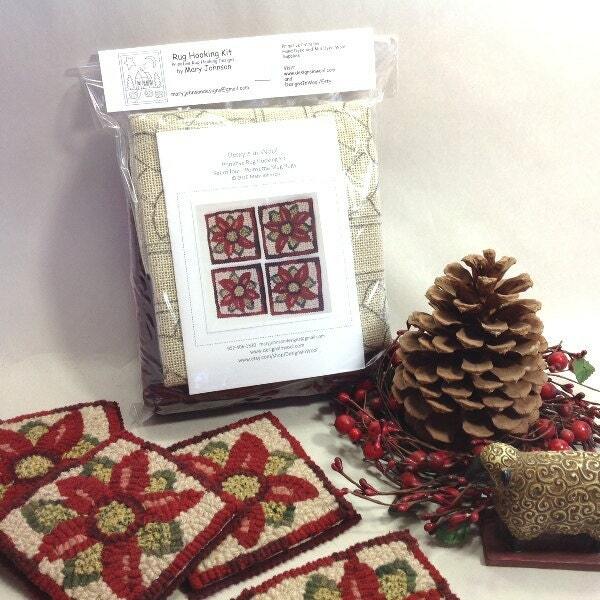 This listing is for the rug hooking kit to hook my design "Poinsettia Mug Rugs". 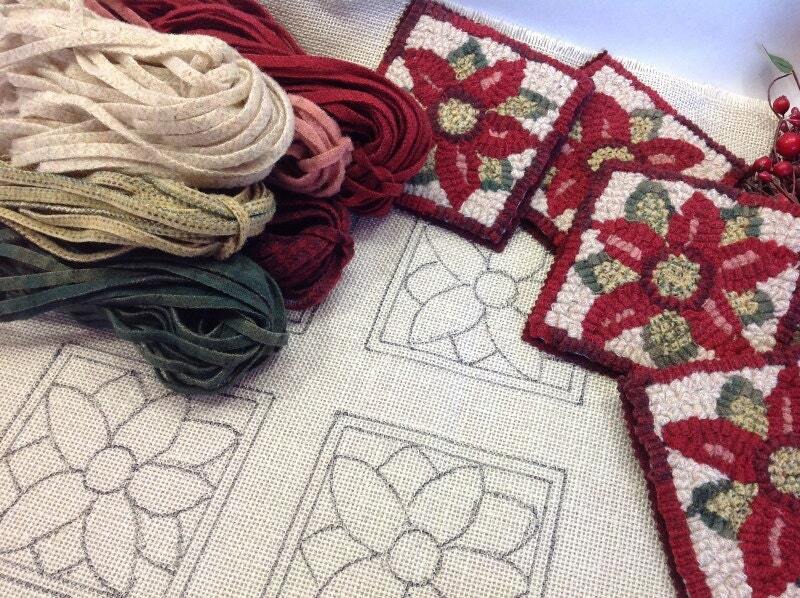 1) Hand Drawn Pattern on your choice of monks cloth or primitive linen with a 4 x 6" color photo. 3) Instructions on how to finish them after hooking and wool pieces for the backs. Wool fabrics may vary slightly from photo but will be in the same color range. 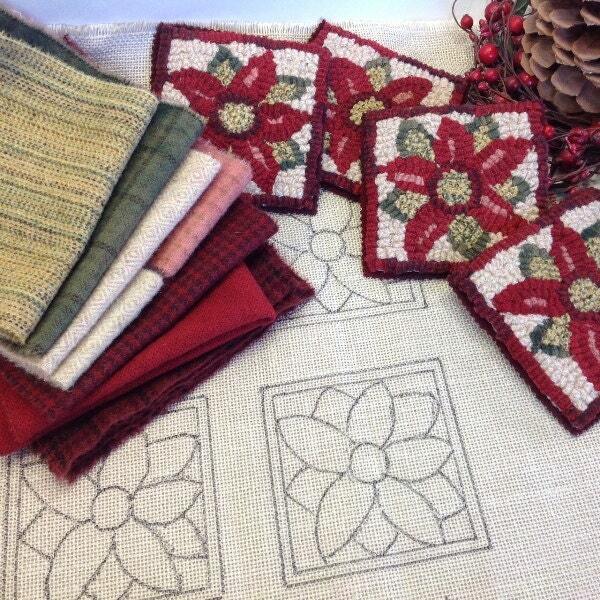 These four mug rugs measure approximately 4-1/2" x 4-1/2" each and are hand drawn on a 20" square backing fabric to make it fit on most rug hooking frames. The raw edges of the backing fabric have been serged to prevent raveling while hooking. 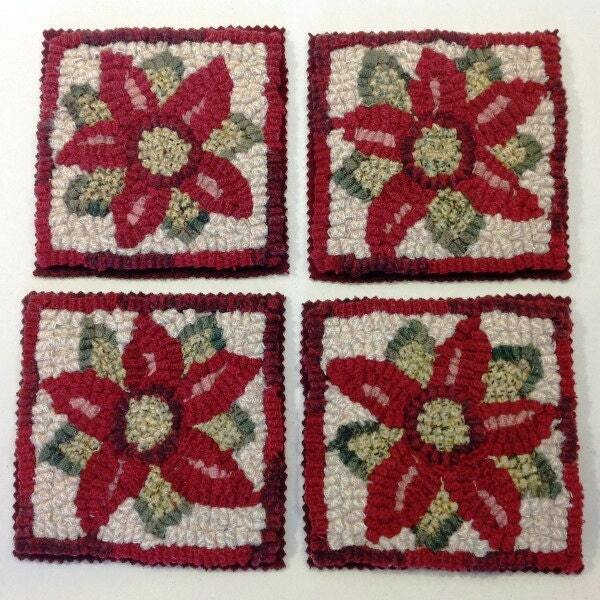 There is also a coordinating Poinsettia Mat 8" x 8", see listing K108: https://www.etsy.com/listing/494893419/rug-hooking-pattern-poinsettia-mat-8-x-8?ref=shop_home_active_18. This item also has a kit available.